I can tell you, this is Wee Bear approved.....He didn't think much about it when I told him I was making meatballs with ground chicken, for dinner. It was love at first bite, he went crazy, had them for lunch each day, until the last little meatball vanished into his open mouth! Melt the butter in a large, deep, oven-proof skillet or saute pan over medium-high heat. Add the onion and cook about 1 minute, until it begins to soften. Stir in the tomato paste, garlic and red pepper flakes and mix just until fragrant, about 30 seconds. 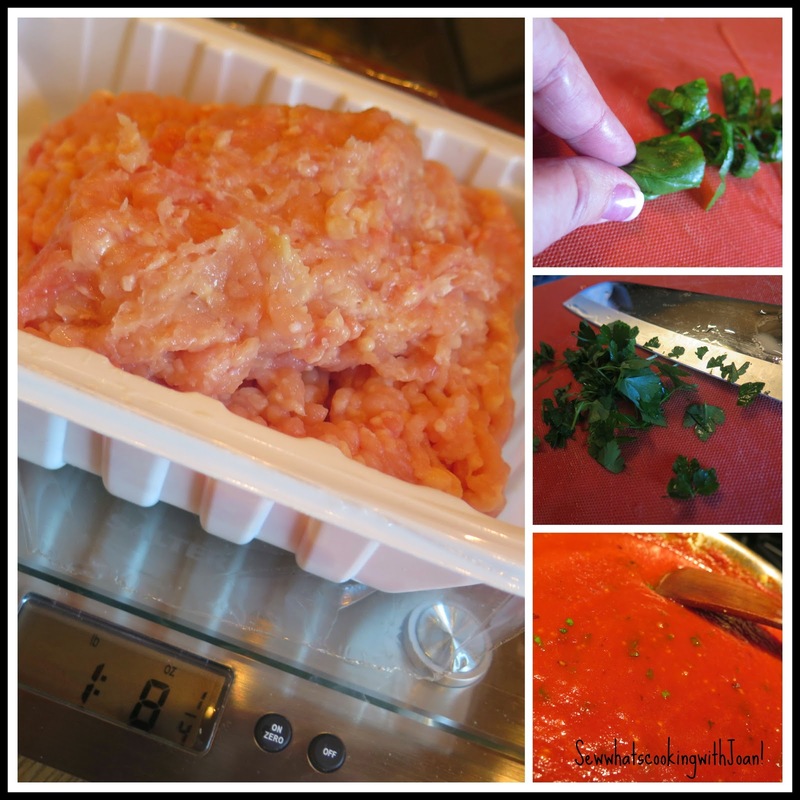 Pulverize the whole tomatoes in a food processor of blender, then add to the mixture. Add water, a touch of salt and pepper to taste. Lower the heat to low and allow to simmer while you make the meatballs. Preheat the oven to 425 degrees. Line a rimmed baking sheet with Silpat or Parchment paper. Place all of the ingredients for the meatballs in a large mixing bowl. Use your hands to combine well. Form the mixture into meatballs about 1-1/2 inch in diameter. Place the meatballs on the prepared baking sheet and bake in preheated oven for 15-18 minutes or until browned, but not entirely cooked through. 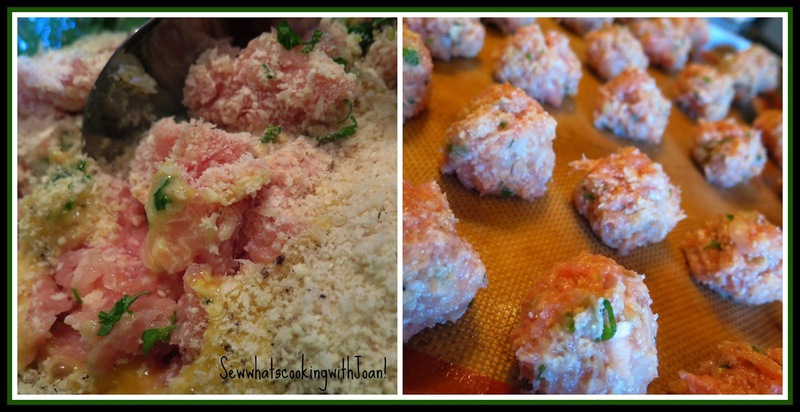 Remove the meatballs from the oven and reduce oven temperature to 400 degrees. 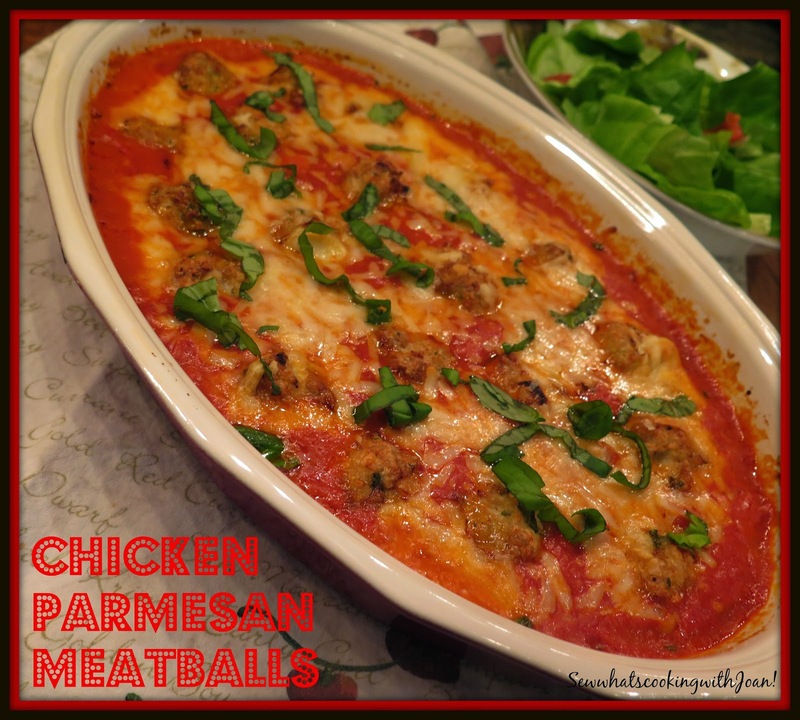 Return to the oven and bake until the cheese is fully melted and bubbling and the meatballs are cooked through, about 12 to 15 minutes. 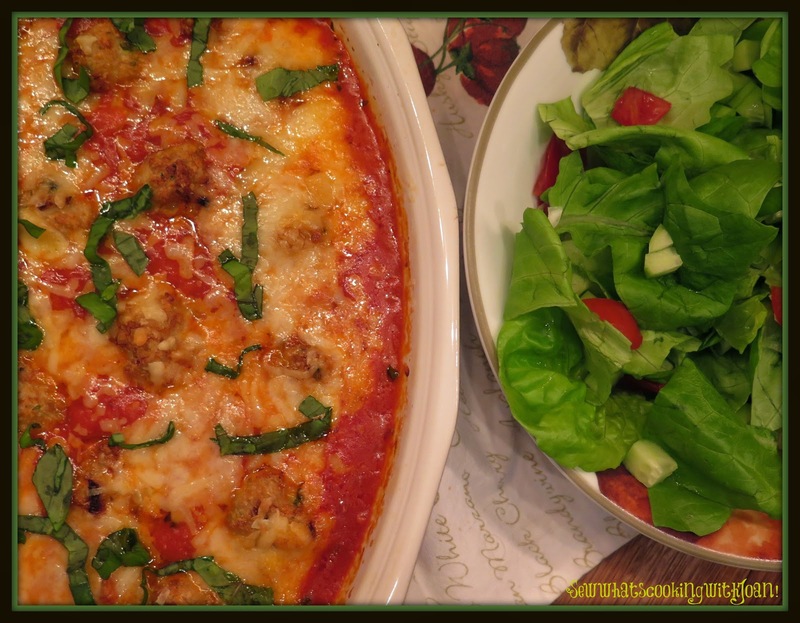 Remove from the oven and garnish with the fresh basil. -make these delicious little gems into sub sandwiches!! As I was putting this sandwich together, I couldn’t help but think if Wee Bear would approve of this sub. But once I took that first bite, I knew he’d be proud of me. After all, how can anyone resist a nicely toasted hoagie bun filled (Yes, filled! No skimping here guys! ) 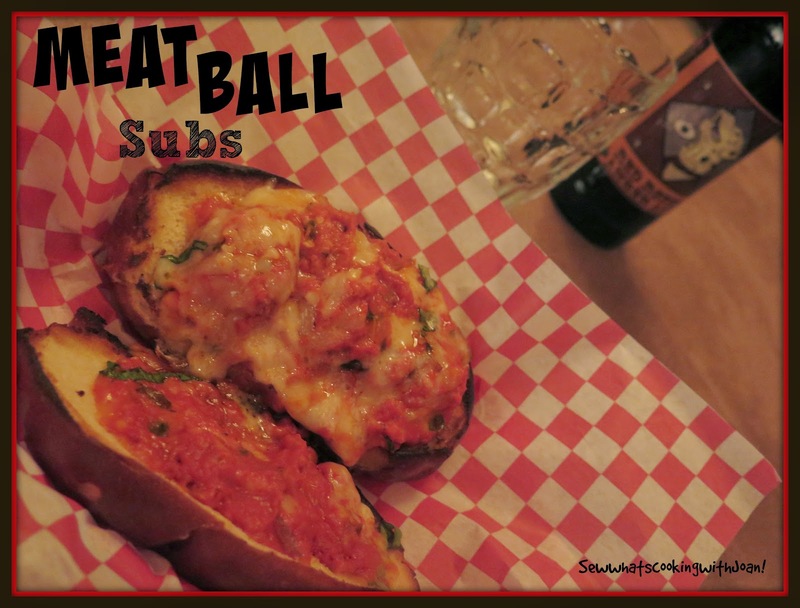 with super flavor-packed, tender meatballs sitting on a bed of homemade marinara and topped with melted mozzarella?! 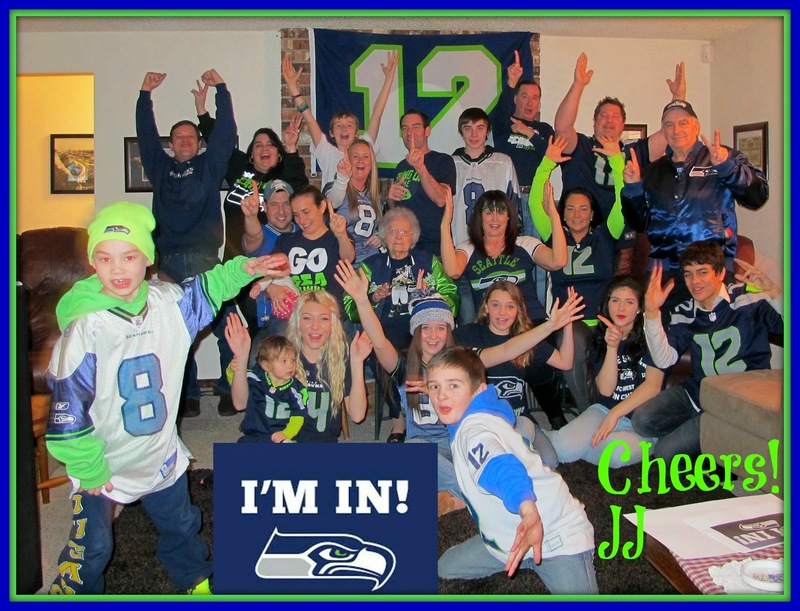 Perfect for my party on Sunday, we are watching the Seahawk/Packer game with friends! Followed by Colt/New England Patriots game!! My family- a few of my children, my nieces, my nephews, one grandchild, my brother and my 94 year old Mother center! !